“BanG Dream!” is a next generation girls band project, a mixed media franchise consisting of elements such as animation, comics, original songs and live performances. Furthermore, “BanG Dream! Girls Band Party!”, a mega-hit smartphone game that had its English version launched back in April last year, is centered around the world of “BanG Dream!” characters. 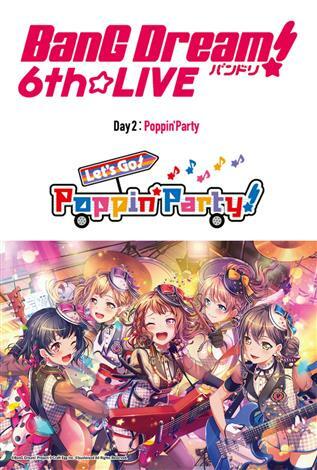 One of the bands that appear in this game, "Poppin'Party", had their voice talents perform live on Day 2 of BanG Dream! 6th LIVE, "Poppin'Party: Let's Go! Poppin'Party!". The concert was held in Ryogoku Kokugikan on December 8, 2018, to a sold-out arena, with the event live-streamed across Japan, Hong Kong, Taiwan and Korea.